SKU: SC LS315. 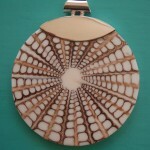 Categories: Pendants, Sea Shells. 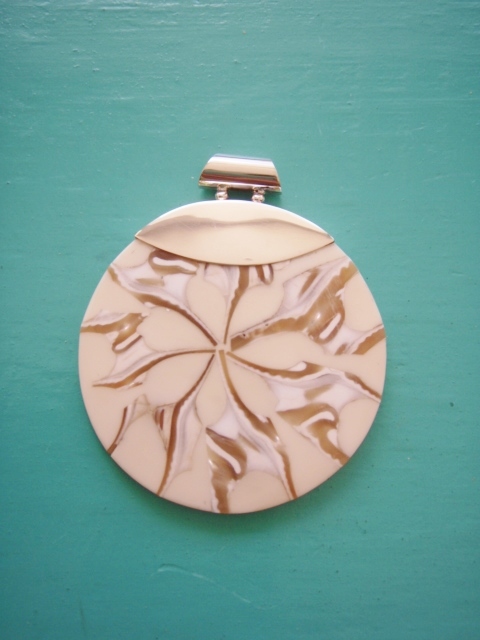 This Seashell Pendant is made using slices of seashells which are then put together to form the pattern and held together using a cream coloured resin, backed with a thin slice of Mother of Pearl. 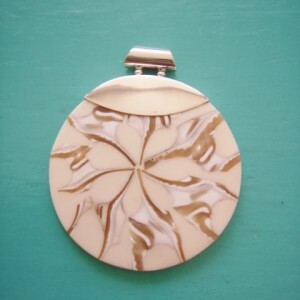 Set with 925 Sterling Silver, this is an elegant pendant.